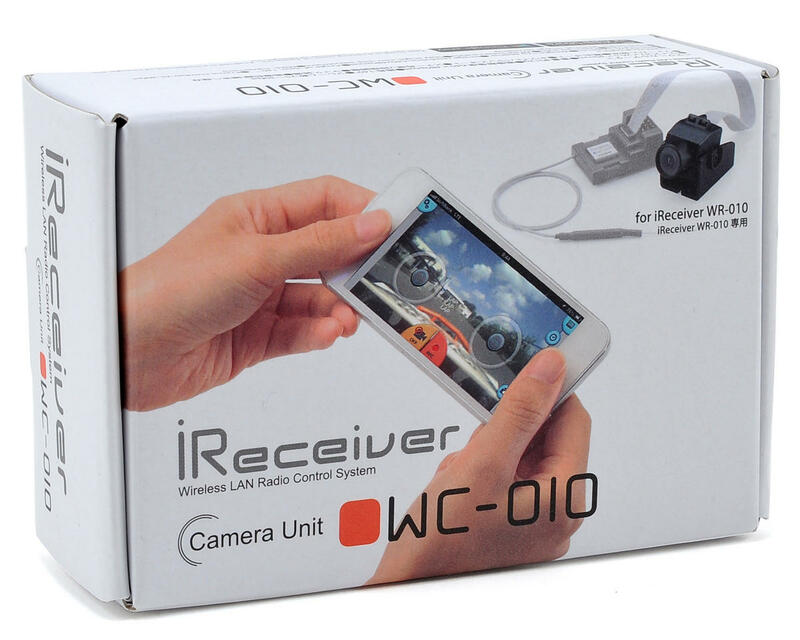 This is the Kyosho WC-010 iReceiver Digital Video Camera. 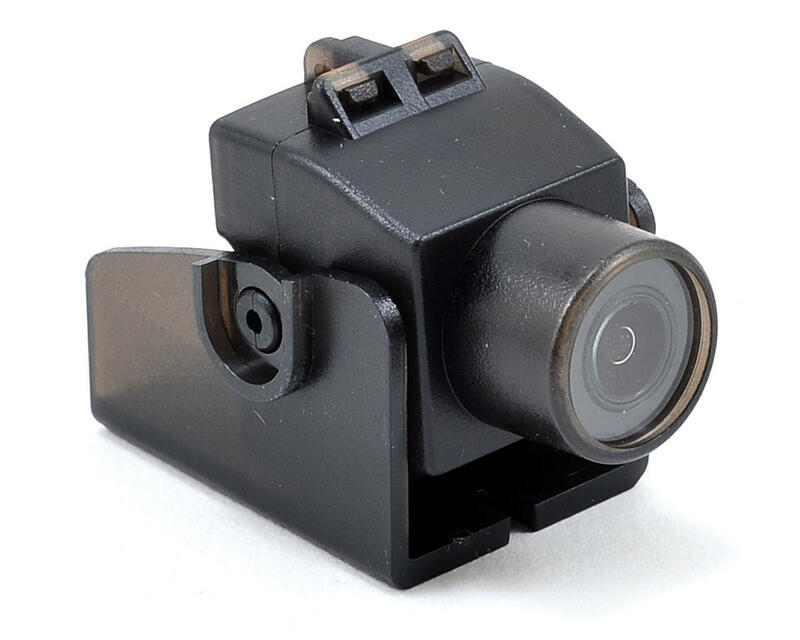 Use this camera with the iReceiver (KYO82260) to transmit on-board "First Person View" video, with clear, wide-angle visibility that feels like you’re riding inside the model! Specially designed for the iReceiver, this camera unit transmits high quality video and still images to your smartphone, providing a real time "first person view". Controlling your R/C model from your smartphone, tablet or PDA through the iReceiver is easier than ever! The 120+ degree wide-angle lens delivers the extensive range of sight needed for effective control. In addition, blur and distortion is eliminated from the periphery to deliver clear image quality. Depth of vision in the lens design and aperture control provide clear visibility of distant objects for judging your path and its surroundings. The camera is powered by the iReceiver so it can be used by simply plugging in the camera’s connector. Video start, stop and still shot are all easily controlled from your smartphone. The ultra-compact design takes up minimal space on your model. Use the camera unit together with your iReceiver for the most fascinating experience in model driving and flying in modern times. 120+ degree wide-angle lens provides clear visibility of surrounding environment for a realistic onboard control experience. Simply plug in the special connector to start using with iReceiver (KYO82260). 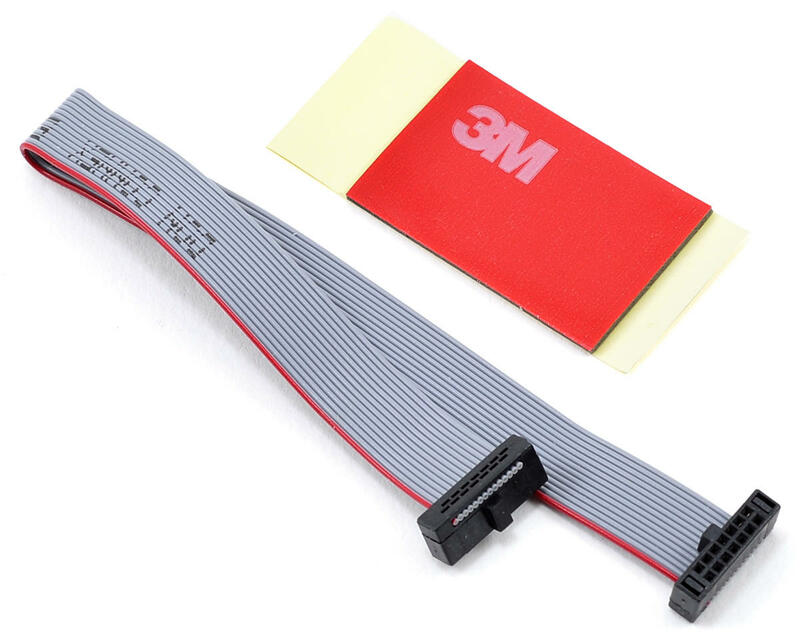 Does not require separate power supply or circuitry. Includes mount with adjustable angle. Excellent low light image capture takes clear video from darker environments. Auto white balance function produces natural color shades. Automatic aperture produces optimal exposure from bright to dark scenes. Video start/stop is controlled from your smartphone. Pan focus feature avoids out-of-focus shots. Also features still image capture function. *NOTE: Depending on network performance or device version, the functionality, response speed and image quality can vary.